Making the decision to being a foster parent is an exciting one. It is a decision that is rewarding in so many ways. It is also one that takes incredible commitment, unconditional love, and patience. After you determined that you are ready to begin, there are long hours of training ahead of you before your first foster child is placed in your home, and becomes part of your family. These hours of training will go a long way in helping you prepare for the many challenges that await you as a foster parent. As each state has its own set of laws and policies in regard to foster parent training, your situation will likely be different than somebody in a neighboring state. The first step is to locate your city’s child welfare agency, and contact them. Perhaps you already know someone who is a foster parent, and they can help you find the correct contact information. If so, you are one step ahead. If not, the phone book or internet is a great way to find what you are looking for. As each state is different, you will find that there are a number of different names for child welfare agencies. Age: Foster Parents need to be at least 21 years of age in order to begin taking foster children into their homes. Character: Character references are necessary in many occupations, including fostering children. You must have three signed statements from individuals stating that you have strong moral character, are able to develop meaningful relationships with children, can effectively manage financially, and have sound judgment. Financial: Though you will be reimbursed for having a foster child placed in your home, the daily reimbursement fee is small, and differs from state to state. Before a foster child is placed in your home, you may be asked to show that you are financially stable enough to support another child. Health: Having a foster child in your house can be draining, emotionally, mentally, and physically. In order to have a child placed in your home, each member of your family must be in mental and physical health. This includes no drug or alcohol abuse. You, and each member of your household, will have to have a medical examination, and a physical report from your doctor will have to be turned into the child welfare agency, and kept on file. Marital Status: As each state is different, your marital status may be a factor in your certification as a foster parent. If you are married, you will have to have a copy of your marriage certificate turned into the child welfare agency, and kept on file. If your status should change any time you are a licensed foster parent, you will have to report this change to your agency. Supervision: Foster parents are responsible for the whereabouts, care, and supervision of a foster child at all times. If you, and your fellow foster parent, are employed outside the house, plans for your foster child’s supervision must be determined prior to bringing a foster child into your home. Your child welfare agency will require prior approval for a child’s supervision outside of your home, such as a day care environment. After contacting the agency in your city, you will begin the first phase of your training, the pre service portion. In some states, this is known as the Model Approach to Partnership in Parenting, or MAPP, while other states refer to this first training as Parent Resource for Information, Development, and Education, or PRIDE. Both of these initial training sessions, and others, concentrate on delivering information in regards to the basic requirements you will need if you choose to become a foster parent. As you being this training, your state’s child welfare agency will ask you to perform two important tasks; a criminal background history, and a home evaluation. Criminal background checks are mandated by all states when becoming licensed to supervise and care for foster children in your home. Both your state’s criminal justice service and the Federal Bureau of Investigation (FBI) will need to obtain a set of finger prints from you, as well as for each member of your household who is over the age of 18 years. Your finger prints will be kept on file by the agency. If an arrest or conviction should appear on your background check, you will be unable to be licensed as a foster parent. Along with this background check, a home evaluation will also occur. During a home evaluation, your house will be inspected to determine if it is well maintained and clean enough for a foster child to stay in. Along with this, the child welfare agency will also determine if the house is properly heated and plumbing is fine; if there is adequate sleeping arrangements for each child; smoke detectors are in place and working; and if all medication and cleaning equipment are safely stored away. -Rights and responsibilities of a foster parent. -Behavior management skills and the resources needed to best meet misbehavior. -How to recognize abuse and neglect, and how to prevent them from happening. -The social, personal, and family problems that often lead a child being placed into foster care. -Separation anxiety caused from being separated from one’s family, and other issues dealing with a child’s placement into foster care. -Create and expand skills in showing love and attention to children who are disturbed and troubled. -Gaining information about the stages of a child’s development and abilities. -Common health problems a foster child might face, and how to best address them. -Understanding your own strengths and weaknesses, and how to use them effectively as a foster parent. -How to work as a team with your caseworker, and other team work skills. -Role and responsibilities of a caseworker. -Relationship between foster parents, foster child, agency, and birth family. -Understanding a birth parent’s perspective of foster care. -Reimbursement and the expenses involved. Raising any child in today’s society is financially challenging. Foster children are no different in that respect. Whether it is diapers and baby wipes, or clothes and high school graduation material, you are bound to spend money on your foster child. Your state’s agency will reimburse you on much of it, though there may be times where you might spend your own money. Your local agency will set the per diem rate, according to your foster child’s age. A per diem rate is the daily amount of money you will receive in order to properly care for your child. Rates for children are broken down into three age groups; birth to 5, 6 to 12, and 13 to 18. The rate is further more separated into three other categories; basic, special, and exceptional. Basic payment is for those foster children who have not been identified for special or exceptional needs. Those children who have tested for special or exceptional needs will receive a slightly higher rate of daily per diem reimbursement. In order for you, as a foster parent, to care for a special or exceptional child, you will be required to participate in additional training, as well as show that you are able to work with the professionals involved in the child’s treatment plan. When a foster child enters your house for the first time, you will receive an initial clothing allowance, again based on the child’s age. In emergency situations, such as a child entering your home with only the clothes on his back, this initial allowance may be higher than normal. You will also have an annual clothing allowance, or amount that you may spend on clothing for your child for the calendar year. Any additional money spent that exceeds that amount may have to come out of your own personal account. All clothing purchased for your foster child belongs to him, and should be taken with him when he leaves your home and moves to another, or is reunited with his family. An additional allowance may be made for those clothing which fall into a special category, such as a school uniform or formal dress. Permission should be acquired by the caseworker before purchasing these items. depending on the state’s policy. Many states will allow you to buy diapers for children between the ages of birth to four years of age. These states will reimburse the full price of the diapers. Baby wipes are generally not included in this reimbursement. As many foster parents have full time jobs, child care is a necessity. Many agencies will reimburse the full price of child care for those foster parents who are employed full or part time. Some agencies may reimburse only a portion of the child care fee. You may also be reimbursed for school related expenses, again according to your agency’s policy. These expenses may include field trips, school club fees, books, graduation, and school pictures. School and summer camps may also be reimbursed if your agency permits it. Each foster parent will be required to ongoing training each year in order to keep the license up to date. The hours for this additional training will depend upon the agency’s requirements. Training can be divided between the traditional format of in person or via a computer or video program. Many times, training hours and sessions are held through local foster parent association meetings. This additional training may focus on a number of topics; sexual abuse, CPR and first aid, discipline, cultural competency, behavior management, psychotropic medication, and working with birth parents. After your initial training, house inspection, and other requirements have been met and fulfilled, you will soon have that phone call; the call to have a child in need placed into your home. This is indeed an exciting time; one filled with anticipation and anxiety. 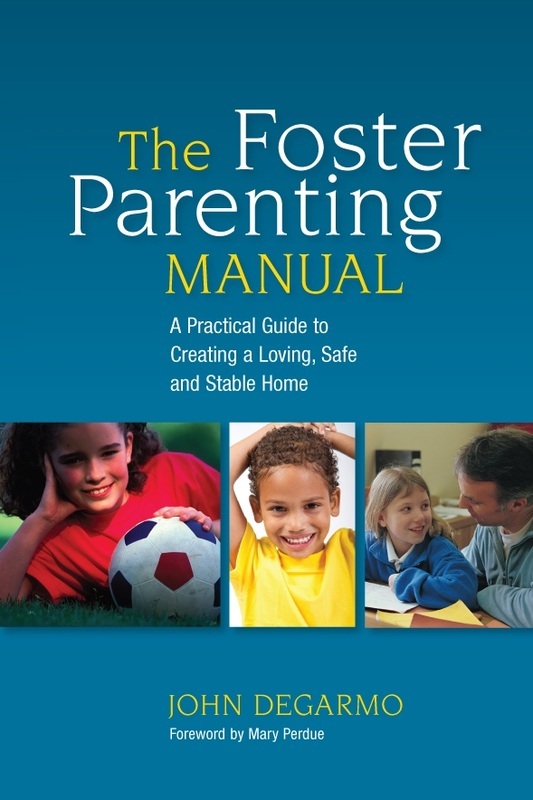 In order to be a successful foster parent, it will take a great deal of training and preparation. The better prepared you are before your first foster child comes to live with you, the easier the transition will be, for both you and your foster child. With these tools, training, and resources at your disposal, you will now be ready to foster a child and help heal a broken heart.